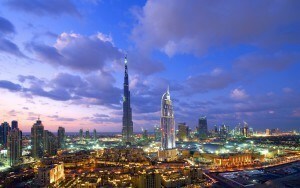 The United Arab Emirates has topped a LinkedIn study to find the country that attracts the most working expatriates. The face of expat work has changed in recent years, with African nations attracting larger numbers of workers. The UAE, though, in part thanks to its oilfields, burgeoning tourist industry, and other services, continues to attract more foreign workers than any other country. Meanwhile, the much larger nations of Australia and Canada, as well as the likes of Singapore, trail in its wake. Expats Dubai: Get Financial assistance for your new life. Get in touch with Harrison Brook. LinkedIn analyzed all the positions that were added to profiles last year and found that the UAE posted a gain of 1.89% of its total workforce. Meanwhile, other nations saw a decline. India lost the most foreign workers (0.23% of its LinkedIn-registered workforce). France lost 0.2% thanks to an exodus of talent due to a declining economy and swinging tax legislation. Most of Expats Dubai are sales staff, project managers, marketing consultants, corporate finance experts, accountants and mechanical engineers. The technology and software industries are taking off in Dubai. There is a real talent shortage that the nation has always filled with expats. India is the leading source nation for jobs in the UAE. However, the US and UK also supply vast amounts of expat workers. The UAE’s favorable tax regime makes it extremely attractive to expats from around the world. Many heads to the Gulf on a temporary basis to provide for their financial future and return after several years; other expats Dubai make the UAE their home and simply never return. They revel in the financial opportunities and the quality of life on offer in Dubai. Saudi Arabia is another favorite destination, as well as Qatar. Both countries are working hard on their international image. As well as both of them are cash rich, so can attract the best workers in the world. Other expats choose to live and work in South Africa, Germany, Australia and with an explosion in its economic status, Brazil. Expats Dubai should seek international & regulated financial advice to make sure they have the most efficient tax and investment structure to fully exploit their time on foreign soil. So take the first step and get started with Harrison Brook.